Sciblogs | Early memories: future proofing for teenage wellbeing? Early memories: future proofing for teenage wellbeing? How much of their early life will your children remember? How coherent a life story can they tell? 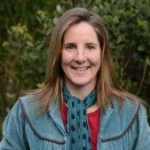 The University of Otago’s Professor Elaine Reese tells us how successive Marsden grants are helping her unravel the links between parent conversations and the way teenagers handle life – their wellbeing, their level of trust, and whether they can see silver linings in the storm clouds of life. What’s the typical age for a first memory? The average age for European adults is around 3-1/2 years, but there’s a wide age range for “normal” first memories, from under 1 up to age 6-7. In research that Harlene Hayne conducted, Maori young adults had earlier memories – on average from just over 2-1/2 years – compared to European and Chinese young adults. Is it important to have early memories, or is it just a good party trick? Having earlier memories doesn’t directly connect to better well being. This is probably because those earliest memories tend to be about quite mundane things. But they do form the beginning of the first chapter of your remembered life history. So it’s speculation, but people who have earlier first memories might have a stronger sense of who they are. How should parents talk to young children? When parents talk more elaborately about past events with their young children, their children will have more detailed and earlier memories as young adults. As an example, a parent could ask a young child an open-ended question full of details like “What cheeky green bird did we see at the Botanic Gardens?” These open-ended questions help the child to put their own memory into words. Language helps strengthen and maintain a memory. Yet it’s a fine balance that parents need to strike. ALWAYS listen to what your child has to say, and try to add more about the part your child is interested in. Parents who are sensitive listeners, and who let their child tell at least half of the story as they get older, will have a stronger, more trusting relationship when that child grows into a teenager. Your latest Marsden grant looked at teens from three cultures in New Zealand – Maori, Chinese, and European – did you find differences? Yes, there were a few differences. When we asked the teens to tell their life stories, the Chinese adolescents mentioned fewer specific memories in comparison to the European adolescents, a phenomenon that has also been demonstrated in international research. But mostly we found similarities in adolescents across the three cultures. The main finding across all cultures was that older adolescents (18-21 year olds) who tell more coherent life stories experience better well-being. How is remembering the past important for young people’s futures? The “children” in my longitudinal studies will be turning into young adults in 2015, so I’d love to capture their future stories. In addition to measuring their memory skills, I’ve also been assessing their imagination skills since early childhood. One important next step will be to test the role of imagination in young adults’ ability to project themselves into the future. “Future thinking” is a vital skill for young adults to possess in order to plan for good things to happen, and to prevent negative things from happening as a result of their past choices. So teenagers who can tell a good life story are happier? Yes, eventually. But it does seem to take until young adulthood for people to benefit from telling coherent stories. Younger adolescents (age 12-14), and boys in particular, who tell more coherent stories sometimes have lower well-being. We think this is probably because they are not yet able to fully integrate the information emotionally. The important thing seems to be the ability to describe turning point events – whether they have thought about how this event has changed their life and have been able to pull out the good points – the silver lining, instead of focusing on the storm clouds of life. In my longitudinal study, we see some parents helping their children see the silver lining from a young age. Ultimately, I’d like to use these findings to help prevent depression in young teens by teaching parents how to focus more on the positive, and less on the negative, in their conversations with their younger children. Professor Reese’s book Tell me a story: Sharing stories to enrich your child’s world was published last year. Does the number of childhood (or any time) memories correlate better than how early the first one is? Personally, I have very few (sharp) memories of much at all; my earliest is probably around the age of 4 or 5, but I can barely recall much of what I got up to last year, let alone through-out childhood. Hi Shadowmind – Elaine’s reply is – In our research, we also looked at the distance between the adolescents’ earliest two memories (the “density” of earliest memories), and how many specific memories adolescents recalled from their childhood. But their earliest memory was the best predictor by far of how much insight adolescents had into more recent life events. The adolescents with the earliest memories showed the greatest insight. We didn’t look at adolescents’ sheer memory capabilities, however, so it’s possible that people with very early memories simply have better memory capability for more recent events too. That would be an interesting idea to test in our next follow-up!